At Cut It Out Hair Design it's all about you. 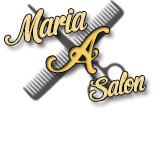 We have won numerous awards in customer service and hairdressing. We pride ourselves on being a high end salon with world class service. Included with all of our hair services is an assortment of beverages to choose from including cappuccino, lattes a variety of teas, wines and ice cold beers. Those clients that are in our salon for a chemical service are treated to personal snacks all sourced locally and change with the season. At Cut It Out Hair Design you will experience the best available products and technology we use iPads in our consultations this allows us to showcase our own work as well as showing our clients the latest styles and trends. We are an elite Redken salon using only their products so you will be assured you are receiving premium hair products and services. We specialize in, Cutting Hair Colouring Keratin smoothing treatments Perming Bridal Hairstyles Formal Hair and more Visit our website for more info and pricing www.cutitouthairdesign.com.au We look forward to welcoming you soon.